Colorado Construction Litigation: HHMR is honored to have one of its attorneys named as a 2011 Colorado Super Lawyer and two others named as Rising Stars. 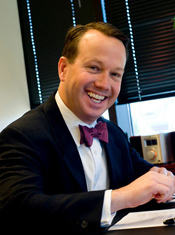 HHMR is honored to have one of its attorneys named as a 2011 Colorado Super Lawyer and two others named as Rising Stars. Higgins, Hopkins, McLain & Roswell ("HHMR") is happy to announce that one of its attorneys has been selected as on of Colorado's Super Lawyers by Super Lawyers magazine and that two other lawyers have been recognized as "Rising Stars." 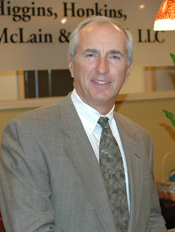 David B. Higgins was chosen to receive the honor of being named as a 2011 Colorado Super Lawyer, recognizing him as one of the top-performing construction lawyers in Colorado. In addition, two other HHMR lawyers, David M. McLain and Derek Lindenschmidt, were named as "Rising Stars" by the magazine, a distinction that recognizes up-and-comers in the industry for their outstanding service and accomplishments. HHMR's expertise is in the field of construction law and the litigation of construction claims. The firm's team of high profile construction attorneys is consistently sought out by developers, general contractors, and insurers not only to litigate construction claims, but also to consult on risk avoidance and risk management strategies. 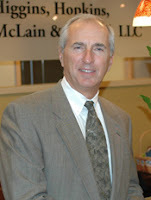 For more information visit the web site at http://www.hhmrlaw.com/, or call (303) 987-9870.